All of us only get to be children once. When children are growing up, there are many factors that affect their development and overall growth. Part of this is their exercise of freedom to play and have fun. The children’s sense of wonder, creativity and curiosity is vast and profound as seen through their behavior and the way they continuously ask questions. Such child-like trait should not be restrained but rather, encouraged by their parents which for example, can be found when children play. A research summary published on 2012 by Dr. Rachel White of Minnesota University titled, “The Power of Play,” tackles the significance of various forms of play that can help in the cognitive development of children. Play as defined, is “pleasurable, intrinsically motivated, process-oriented, freely chosen, actively engaged and non-literal” (White, 2012). Its value lies in how adults perceive it as part of the children’s personal and functional growth whether it be free or guided play. Play is an integral part of every child’s life but according to Dr. Rachel White, time given to kids to play has decreased throughout the years as a result of parents imposing activities, test reviews and any academic preparation leading to a separation of play and learning (White, 2012). The research identifies five forms of play that children do: social, object, pretend, physical and media play. This form of play relies more on the interaction of children with both their peers and with adults. While every form of play can involve socializing with others, the research emphasizes on its role in various play scenarios. Playing with adults provide the children a basis or a ground since their parents were their very first playmates. As the plays become complex, the children begin to develop an understanding how a play can be and start to take action by themselves. Besides playing with adults there is also playing with their peers which increases their social maturity over time. Back when the children would only play with their parents in charge, playing with their peers allows equality and more initiative coming from the children (White, 2012). Examples of Social Play are: Peek-a-boo, Running and chasing and Roleplay. 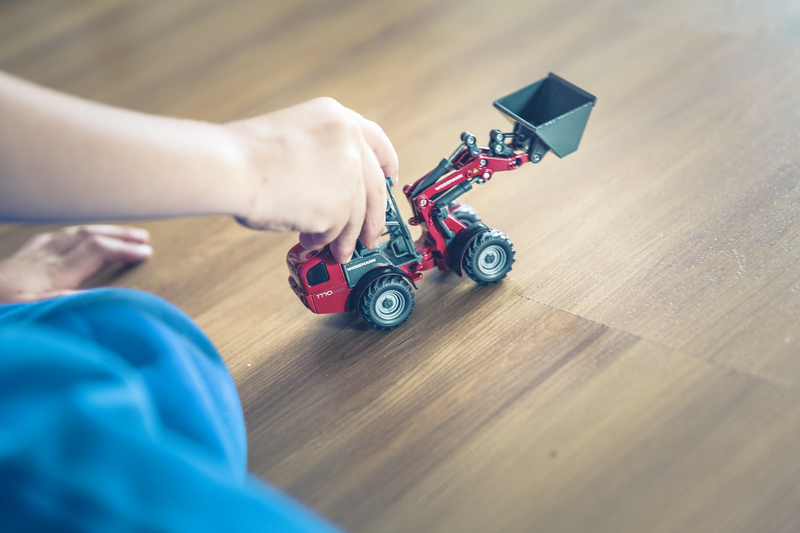 As children physically grow, they become interested in handling and tinkering with objects. The first type of object play is exploratory play. As Dr. White stated, this type of play begins when children are 5 months old and continues on until the age of 4 wherein the children perceive the objects differently as they mature. From playing with the objects for their function, when children reach 2 years old, their view of the objects become symbolic (example: Crayon which is used for coloring may be seen as a pillar of a house). The second type which is also referred to as object play involves the maneuvering and exploration of objects meant to increase the motor and social skills of children. Object play overall, has benefits to knowledge (through exploration), problem-solving (puzzles and challenges) and forms their foundation for STEM (Science, Technology, Engineering and Math) concepts. While Roleplay is under Social Play, it’s also a form of Pretend Play because the behavior of children include taking on different personas or characters. There is also another form called symbolic play which hones their imagination and allow them to see objects differently like making phones out of cans and long thread or using a blanket as a cape. Most scholars and experts would argue that Pretend Play satisfies what children need from play itself since it contributes to cognitive, social and emotional development. In this form of play, children are able to develop skills and competencies applicable like language and literacy,executive functions (memory, attention, emotional and moral intelligence), interpersonal communication and understanding as they venture into more complex lessons in per academic level in school. Physical play may be the most “playful” compared to the other forms because as the name suggests, this play is when children get to physically exhaust themselves as they run, jump, kick, climb and have fun while doing so. However, according to Pellegrini, this form of play may be the most endangered as time for exercise play continues to decrease especially in schools (as quoted from White, 2012). Despite this, the benefits of Physical Play is not sub-par amongst the other plays. With obesity in children significantly increasing through the years, encouraging them to engage in any physical kind of play like most sports will prevent them from acquiring the health condition. The health benefits of this play are muscle growth, strength, coordination, organ growth and endurance. Of course,even if it’s Physical Play, its cognitive benefits are not non-existent. An example of this is the improvement of the executive function of children as proven by three research studies done to school-aged children cited in the research summary. Last but definitely not the least, technology has taken a significant part of children’s lives today. Children these days spend a maximum of 7.5 hours in front of screens playing interactive video and computer games. Of course this form of play is not safe from critics as many claim that technology is one of the primary causes of obesity. Despite the criticisms, one can’t deny that Media Play also has its benefits. Many interactive learning games can be played on screen as many increase the knowledge of children regarding a particular subject matter. These games also cater to the different learning styles of children be it visual, tactile or auditory (Mayo, quoted from White, 2012). The decision-making, critical-thinking, exploration, experimentation and creative skills of children are applied since many technology-based games offer a wide platform. Multiplayer games allow interaction, cooperation and teamwork among peers to achieve a common goal. These forms of play mentioned above are not completely independent from one another and the other should never be a reason for the other to be replaced. The integration of these forms of play in the children’s lives requires the facilitation of adults especially their parents and teachers. All of these types of play from the research pertain to “Play is learning” (White, 2012) wherein each type is fun and child-centered thus increasing the motivation of children to learn new cognitive skills and develop physically. Every parent, teacher and guardian must acknowledge the importance of these plays for children to become fully-functioning members of society in the future. White, Rachel E. “The Power of Play.” 2012, pp. 1–32., www.childrensmuseums.org/images/MCMResearchSummary.pdf. Accessed 1 Sept. 2017.